As a streamer, I’m constantly discovering new things that I’d love to add to my gaming setup. 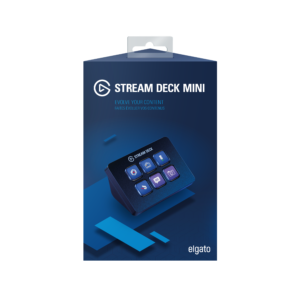 Last week, a new gadget was added to my most wanted list, the Elgato Stream Deck Mini. This is a smart piece of kit that helps to improve the production value of the stream with ease and for a great price too. Elgato announced the Stream Deck Mini on July 24th. 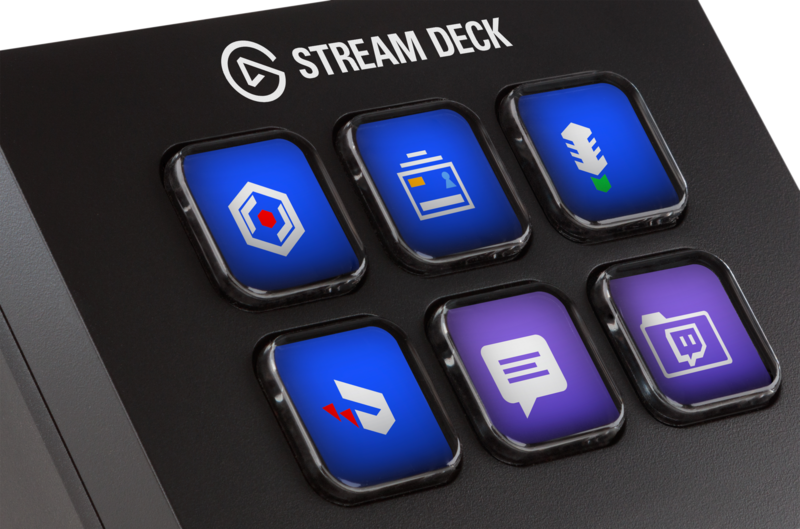 The gadget is a mini version of the Stream Deck, offering 6 customisable LCD keys that make it possible for streamers to seamlessly switch through scenes, control the chat, launch different forms of media and so much more. All of this is available in a neat little box that doesn’t take up too much room on your desk, good news as most streamers desks are already bursting with equipment. Customisable LCD keys that allow for instant visual feedback on the stream with just one touch of a button. Quick and easy integrations with your favourite tools including OBS, Streamlabs, Twitter, Mixer, Twitch, Xsplit and more. Enhance your own stream by using your original soundbites, videos, images and GIFs. Be as creative as you want. Assign multiple actions to a key and make multitasking quick and simple. Launch the different actions with a simple push of the key and the events will go live either all at once or in timed intervals – it’s up to you. 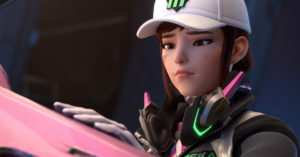 Working on improving the production quality of the stream is a good way of pushing yourself further to create broadcasts that the audience responds to positively. The original Elgato Stream Deck was welcomed positively by the community, so it only makes sense to offer the same level of control to a wider audience with the mini. You get the same level of professional broadcast control at a lower price point. This is a fantastic addition to any streamers’ setup. Creating quality content is one of the ways to help increase your followers and keep people coming back for more. The current price of the Stream Deck Mini is £89.95 on Amazon, it’s affordable and a great investment for creative streamers that are ready to get serious. There’s no need to start dragging the mouse around your monitors, opening windows and clicking in the right places to share a video or a link to your social media with this tool. You can keep playing and instantly switch to a new scene and back using just a finger. The Stream Deck Mini gives you the freedom to maintain concentration on your gameplay and continue to monitor the stream via OBS or your own preferred platform. Everything else is pre-assigned to one of the six keys and ready to go. Some of my favourite streamers have the original Stream Deck and now I can’t wait to see what everyone else is able to achieve with this affordable option. In other news, Elgato is now owned by Corsair! That one slipped me by.